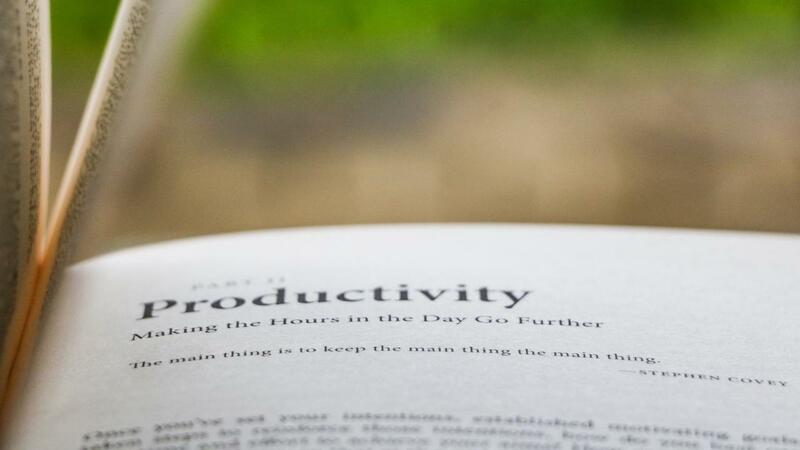 Five reasons to work less distracted, besides productivity. Longer Attention Span: By learning to work less distracted, you can hone your concentration skills and extend your attention span. Distractions impact our attention by fragmenting it into tiny bits. The amount of time we’re able to concentrate on average has been decreasing, from a mere 12 seconds in 2008 to a pathetic 8 seconds as of 2015. Now, in case you might be thinking that younger generations are even worse, you should know that 8 seconds applies to all age groups. This puts us behind goldfish who can now concentrate longer than we can—a whopping 9 seconds. Improved Memory: Reducing distractions at work provides more opportunities for our memory to function properly. Our brain’s process for memorization involves transferring information from our short-term memory–like a sticky note, to our long-term memory–like a storage system. Although the capacity of our long-term memory is practically unlimited, our short-term memory is not. It’s both limited and fragile. If we’re distracted, anything sitting in our short-term memory can be bumped out and, as a result, won’t be transferred into our long-term memory. Whatever thought we momentarily had is gone for good. Higher IQ: Developing healthier tech habits at work can also increase your IQ. One of the biggest distractions in the workplace is a smartphone. It affects our fluid intelligence by keeping us in a state of continuous partial attention. The mere presence of a smartphone occupies a piece of our mind, which uses up some of our limited cognitive resources. As a result, we have less cognitive resources available for thinking. Turning off the phone or placing it face down is not enough to fix this problem. Only by ensuring our phone is silent and out of sight can we free up our conscious mind and engage more of our cognitive capacity. So, be smart and put your phone away. Decreased Stress: By working less distracted, we’re more successful in completing the work we set out to do which, in turn, lowers our stress levels. If we’re interrupted or distracted during a task, our working memory won’t let go of that task until it’s completed. It will keep running through our subconscious, making us uncomfortable and stressed. But when we complete a task, our working memory can release it which causes our brain to reward us with a dopamine hit, resulting in lower stress. Each accomplishment is one less thing to fret about. Stronger Relationships: A less quantifiable but still valuable benefit of working with less distractions is the impact it can have on our relationships. By paying attention to those we’re interacting with, instead of our devices, our interpersonal communication will improve. Communication is a key element in building stronger relationships. And strong relationships can play a significant role in our success, regardless of position or industry. Earnest Hemingway said, “I have learned a great deal from listening carefully. Most people never listen.” Everyone benefits when we spend more time undistracted. I’ve highlighted some of the many benefits to working less distracted, in addition to increased productivity. It’s well worth the effort and can be a real game-changer in the work you do and beyond.